Hey readers! 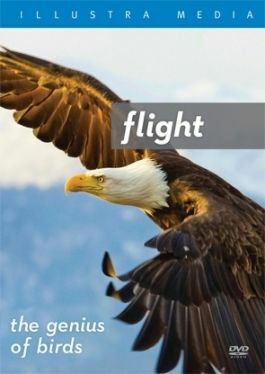 I have had the amazing opportunity to review both "Flight" and "Metamorphosis" from FishFlix.com. "Flight" shows the amazing design of birds, and illustrates how that design couldn't possibly be by accident. It features stunning landscapes from all over the world, including locations such as Peru and Antarctica! Talk about diversity! 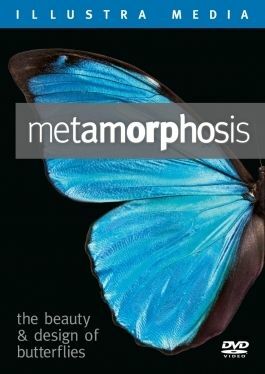 Metamorphosis shows the intricate life cycle of butterflies, including the Monarch butterfly, and also shows how the design of the butterfly had to be by intelligence rather than accident. For this review, I received 2 physical CDs-one of each film. With Spring finally here, and Mr. B suddenly semi-over his horrible fear of all things "bugs," I decided we would do a study I called "Birds, Butterflies, and Bees." I used Visual Learning Systems (see my review HERE) to set the stage of our lesson. We watched the small video and did the activities for "What is a Bird" as well as a lesson on insects. On top of that I was able to pick up some resources at the local university when a bee keeper came with a display. So I had a ton of handouts for that, plus a wide variety of books on birds and butterflies-including a book I received in a state info swap I participated in a while back. I used all of these to augment these two films, and it was great! Flight will take you on a trip around the world, to see birds from a perspective many do not get to see. The flow of the film is chronological. It focuses on the life cycle and biological structure of birds. It starts off by talking about how versatile birds are, and the egg stage. Then progresses to baby birds, then adolescent birds taking flight, and so on. There are science experts that discuss the mechanics behind this, such as the instinct of the mother bird to sit on the eggs and the instinctive ability for a young bird to fly. The music is fantastic. It is calming, interesting, and attention grabbing-with out taking away from the movie at all. During the "baby" part the song "Baby Face" plays, after a few pictures are flashed across the screen. My son got a huge kick out of that scene! The film makes it a point to showcase the idea that a bird (nearly all birds, with a few exceptions) is designed with flight in mind. One example shown is a pelican. It is a heavy bird, yet can fly with ease with a skeleton of less than 2 pounds. Another example is the specialized way feathers are designed. The point the film makes is that these features could not be accidental, but must be intelligently designed with purpose. Each bird is designed in the exact way it needs to be in order to live. Like "Flight," "Metamorphosis" focuses on the life and design of butterflies, and how this could not have happened by accident, but with intent and purpose via intelligent design. The film begins with ancient civilizations' belief in the butterfly, and the butterfly being the symbol of life, death, and soul. Also like "Flight", "Metamorphosis" begins with the egg stage of life, and progresses in a chronological manner. The close up photography and music, intermixed with the sounds of nature, work to make a beautiful piece of art disguised as a movie. The close ups are simply mind-blowing! The expert interviews show the knowledge and love of butterflies of each person, without being dry or boring at all. The film achieves its goal of showing the intelligent design of the butterfly. As one scientist says in the beginning, "Butterflies make no mistakes." From each species having its own specific leaf type that is perfectly made for the caterpillar, to the amazing journey the Monarch butterfly goes on (not to mention the generational thing with the Monarchs that allows the generation that will be migrating to live longer...,) "Metamorphosis" does an amazingly wonderful job of teaching us all about the wonders of butterflies. The cinematography is amazing with both of these films. The music fits each scene perfectly. Some of my favorite scenes were the scenes of the flocks of birds moving in unison, or the forest full of butterflies in Mexico. It's hard to imagine such sights truly exist in the world. It was amazingly beautiful, and something we'd love to see first hand. The films are not overly religious at all. They are not one belief over another, so I can't say they are Christian based or any other religion based (though FishFlix does state they are "Christian movies to inspire and entertain ". They are Intelligent Design based. Whether you are religious or not, I think you'd find these films to be awe inducing and interesting. Anyone of any varying faith would enjoy these films, as they are not biased for or against any specific religion. They are beautifully filmed, well executed, thought provoking, and a great resource for a study of these topics. FishFlix.com offers a wide variety of film choices, at great prices. PLEASE click the banner below to read reviews on several other films offered by this great company!